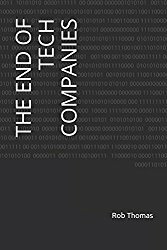 The era of 'tech companies' is over; there are only companies, steeped in technology, that will survive. Those who figure out how to apply this advantage will drive unprecedented wealth creation and comprise the new S&P 500. Big Data Revolution is a guide to improving performance, making better decisions, and transforming business through the effective use of Big Data. In this collaborative work by Rob and an Oxford Research Fellow, this book presents inside stories that demonstrate the power and potential of Big Data within the business realm.